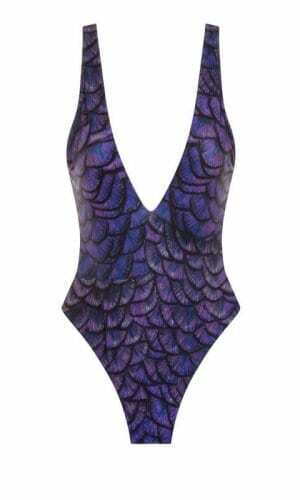 Make a statement at the pool with the flattering Tracy swimsuit. 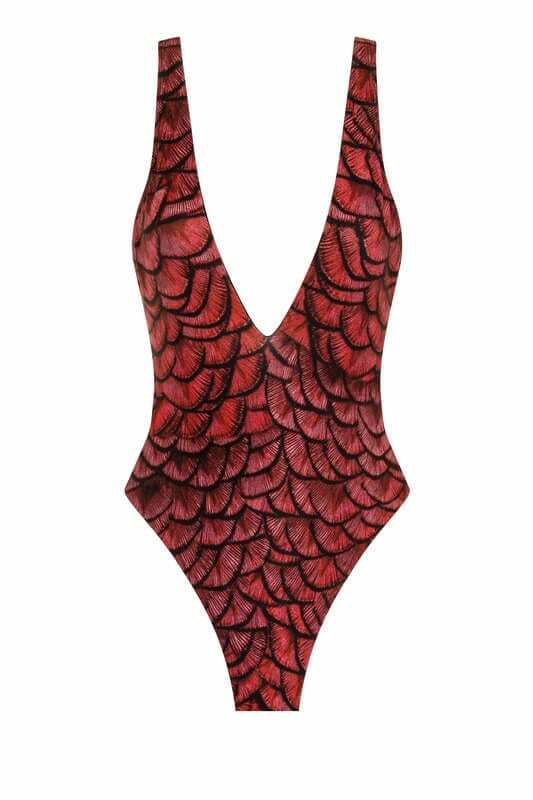 This piece is cut from Dragon Scale inspired printed technical fabric. The symmetric plunged cut slims the body and the shoulder straps adorned with 24k Gold hardware adds decadence.